Fall Trade Show Line Up for Inspection Arsenal! Join us for demonstrations of Inspection Arsenal™ quick-swap fixture plates and work holding at any… or ALL of these fall trade shows! We’ll be exhibiting in Booth #3507 with our friends from 1 Source Metrology, Canada and Wenzel America! Join Measurement Solutions in Booth #320 for a demonstration! Join us at Methods Machine Tools Sales state-of-the-art metrology lab! Open House! Join us in Booth #734 to meet the inventor for product demonstrations and to see new product. 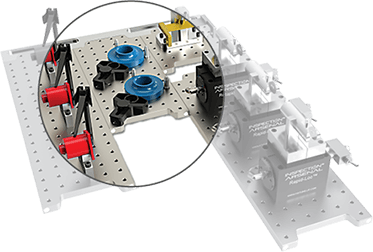 New Radial Loc-N-Load™ Inspection Fixture Plate! The guys on the CMM love your gear and as we get bigger and better we will definitely be using more of it. We are still pretty small but have big plans! !